Sometimes I worry that time goes by so quick. It’s been really three years since I reviewed the eponymous CD by Hunter Complex, also known as the solo project of Lars Meijer, whom I know as the friendly boss of Narrominded, and as a boss not narrow minded at all. Three years. God. I enjoyed that CD, even have it on my ipod, I think, and here’s a new LP. In an edition of 200 copies only, 100 on black vinyl and 100 on transparent vinyl. It’s crisis everywhere, I was thinking, as this should, technically, be an album that one could sell pretty well. 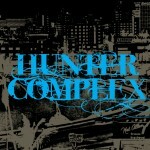 Hunter Complex plays electronic music with a strong pop edge. 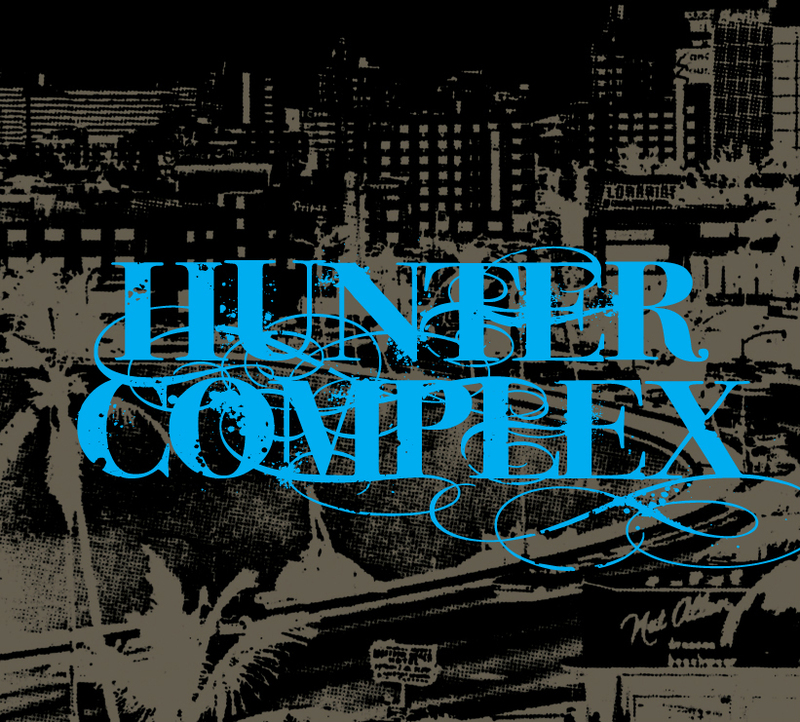 And I say that because I don’t want to write: Hunter Complex plays electronic pop music. Meijer uses a bit of vocals, occasionally and moved to the background of the piece, but it’s the instrumental music that is important and hence, perhaps, as such less ‘pop music’. If anything, Hunter Complex looks for the early 80s to find it’s sources for inspiration. Italo, Morodor, elektro, Simple Minds. Erm, Simple Minds? Apparently some keyboard lines are straight of Sons and Fascination, which I missed I guess, even when the Simple Minds are on of my favorite all-time bands – from all periods actually. The front cover also read like a catalogue of 80s apparatus: Linn Electronics, TR 707, TR 505, PPG Wave, Yamaha DX 7. That gives this record a certain aura of being dated, and that’s perhaps exactly what I like about it. That whole 80s feel is what makes this record strong, not necessarily each track, but the total sum of music, instruments used, video stills used on the cover and perhaps even Meijer’s singing. Not particular strong, but such was the way back then. A very pleasant record, highly entertaining. Great value! 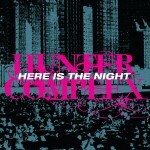 Following Here Is the Night a taster CD single with various remixes, here is the full length by Hunter Complex, also known as Lars Meijer, also known as the boss behind Narrominded Records. That was a mighty fine taster indeed, and it made me very curious about the full length. A spoiler then: it’s great, perhaps exactly what I hoped for. Synthpop, electropop. I made the connection to the releases on Suction Records, yet Hunter Complex takes matters a bit further. Vocals play an important role in this music. Those vocals reminded me a band from the 80s, early 90s who made similar electronic popmusic, Tranquil Eyes (I am sure not many people remember them). Uptempo pieces that are sweet, funny, poppy but also a bit dark. Think Depeche Mode in their early 80s work, Soft Cell, OMD, even New Order (a particular favorite here), Human League and lots of more obscure electro bands, like the aforementioned Tranquil Eyes. This is an excellent release – very retro in approach, but this is the kind of music which never seems to age. It still sounds as fresh as it was then. But then, perhaps I am not the right person to ask for a subjective view on matters like this: I have always been a sucker for great synth pop. It’s of course a fine line between all things pop, and perhaps all things unVital. 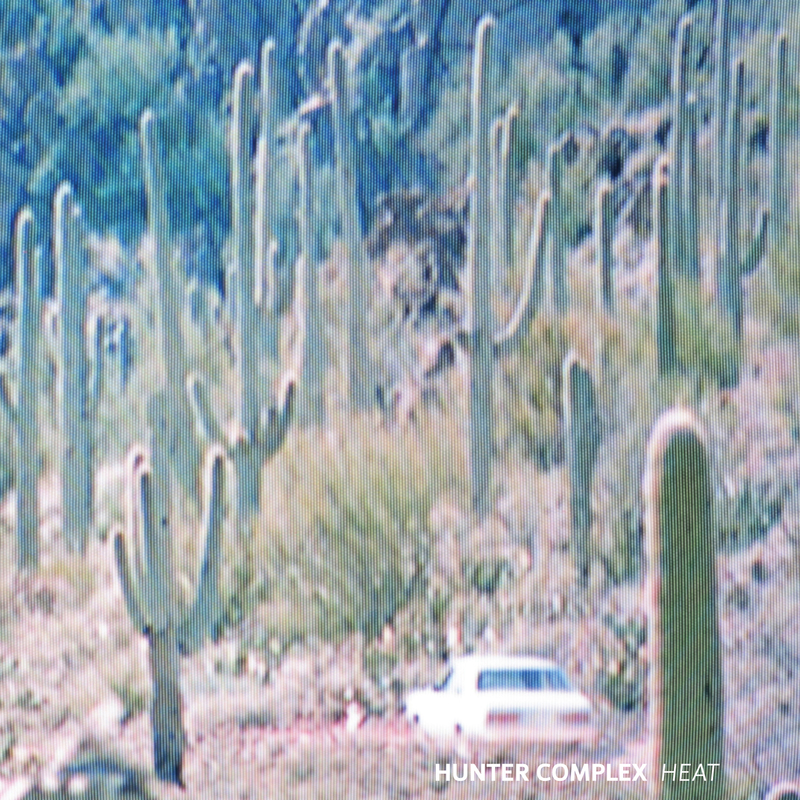 Hunter Complex may not be real Vital material, but loved out of personal taste for such music. Lars Meijer is the active man behind the Narrominded label, but also as a musician with Living Ornaments and Psychon. He also recorded solo music, which I didn’t know, as Hunter Complex. 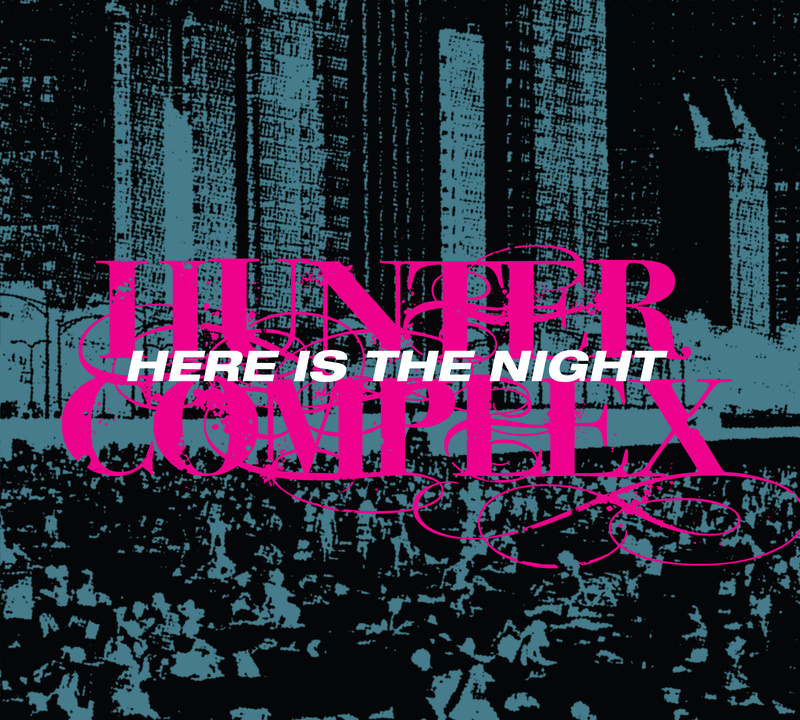 Early 2010 he will release his debut album Hunter Complex and stir up interest he now releases a CDEP Here Is The Night, along with remixes by Garcon Taupe, Spoelstra, Coen Oscar Polack and an extended instrumental piece. He started doing his solo music a long time, behind a piano and recording them onto a four track, until he reached the limitations of those methods. Now he sings again, uses analogue synthesizers and no doubt uses the computer to record it on. 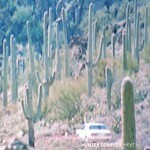 Its no longer Larz (as such he recorded two lo-fi pop albums) but Hunter Complex. His piece here is an uptempo electro piece, with influences of italo music and electro-pop. It could as well have been on any ‘Snow Robots’ compilations from Suction Records (whatever happened there, I wonder?). A great piece. In the three remixes, each of the remixer takes one or two sounds that they like and expand on that. 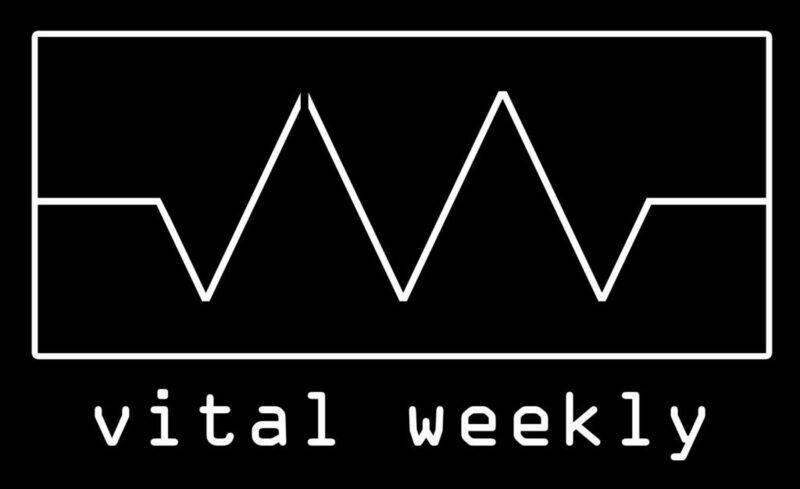 Distinctly more ‘dance’ oriented tracks at work here, with a stomping version by Spoelstra. Polack’s version is the morning after chill out remix. Meijer’s own Fashion Street is a laidback jazzy tune with a leading part for saxophone, and may seem a bit out of place but it made me altogether very anxious to hear his album. His two pieces are different from eachother, but could make a great album.